The holidays aren't over for these two! 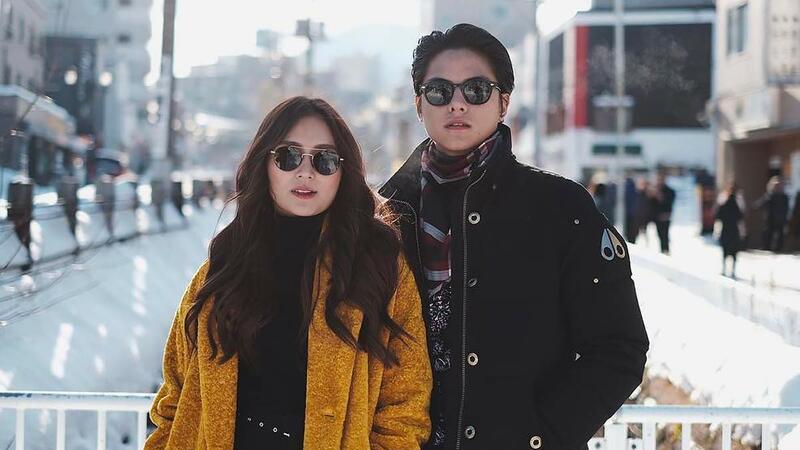 Kathryn Bernardo and Daniel Padilla are still on vacation mode as they explore the snowy regions of Hokkaido, Japan. The trip was actually a mix of work and play, but the real-life sweethearts were able to do some sightseeing and snuggled up to the winter weather of Japan. They traveled to the Land of the Rising Sun with their close friends, colleagues, and Kathryn's family in tow. Leave it to Mommy Min to capture sweet moments of KathNiel. Kathryn was also able to bond with BFF Arisse de Santos. Kathryn's glam team members, makeup artist Denise Ochoa and hairstylist Chris Rodil, were also there to unwind with their muse. In between their shoots, Daniel, Kathryn, and her family enjoyed the snow-capped forests of Hokkaido prefecture. Kathryn definitely had a great time in one of her favorite countries.